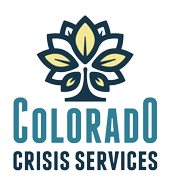 Thank you for your interest in volunteering with the Mental Health Center of Denver. We appreciate our volunteers whose commitment and support makes our work stronger and our communities healthier. Click on a location below to browse current volunteer opportunities. After identifying an opportunity that interests you, please complete an application in the next section. Thank You to our Citywide Banks Volunteers! Please complete one application per volunteer opportunity, and list the name of the opportunity as written in the description. Why are you interested in volunteering with the Mental Health Center of Denver? I understand that by signing this Electronic Signature Acknowledgment Form, I agree that my electronic signature is the legally binding equivalent to my handwritten signature. Whenever I execute an electronic signature, it has the same validity and meaning as my handwritten signature. I will not, at any time in the future, repudiate the meaning of my electronic signature or claim that my electronic signature is not legally binding. 1. How long does it typically take to hear back about a volunteer application? You will be contacted about your application within approximately two weeks. 2. After I volunteer with the Mental Health Center of Denver, can I include this volunteer experience on my resume? On my LinkedIn page? We encourage all volunteers to reference their time as a volunteer in their resume and on their LinkedIn page. 3. What should I bring to my first volunteer day? This depends on the volunteer opportunity, but we encourage all people to bring a smile and a reusable water bottle. You will receive more specific information about what to bring from your Volunteer Supervisor. 4. What should I wear for my volunteer position? This depends on the volunteer opportunity, however comfortable and conservative clothing is generally encouraged for most opportunities. You will receive more specific information about what to wear from your Volunteer Supervisor. 5. Is there an age requirement to volunteer? Some volunteer opportunities require you be 18 years or older. Please keep in mind if you are a volunteer under 18 years old a parent or guardian will need to fill out some required forms prior to volunteering. 6. Can I apply for more than one volunteer position? Qualified persons are welcome to apply to all positions that interest them. 7. Can I volunteer for more than one volunteer position at a time? Each volunteer opportunity has its own time commitment. In some cases, this may allow a volunteer to participate in more than one volunteer opportunity. 8. What happens if my volunteer opportunity is meant to take place outside and it is raining? Volunteer opportunities are dependent on weather. Please contact your designated Volunteer Supervisor to determine if an event or opportunity has been postponed or cancelled. 9. What should I do when I arrive to volunteer? This depends on the volunteer opportunity. If you are volunteering for an event, please find the Volunteer Welcome Station to complete or submit the volunteer forms. For an individual volunteer opportunity, please request to see your Volunteer Supervisor. You will receive specific instructions about where to report from your Volunteer Supervisor. 10. How much time do I need to volunteer? Each volunteer opportunity has different time commitments which are noted at the bottom of the volunteer opportunity description. We offer some opportunities that occur once and other opportunities that are more frequent and require that you commit to at least 8 scheduled times. 11. What do I do if I can no longer continue volunteering? Please inform your designated Volunteer Supervisor if your schedule should change or you wish to no longer volunteer in your position. 12. Can I still volunteer if I do not qualify for a posted volunteer opportunity? New volunteer opportunities are posted regularly. If you find that there is not a volunteer opportunity available that matches your qualifications, please check back in a few weeks for new volunteer opportunities. For additional information or questions, please contact Amanda DeGruccio at (303) 504-6732 or amanda.degruccio@mhcd.org.